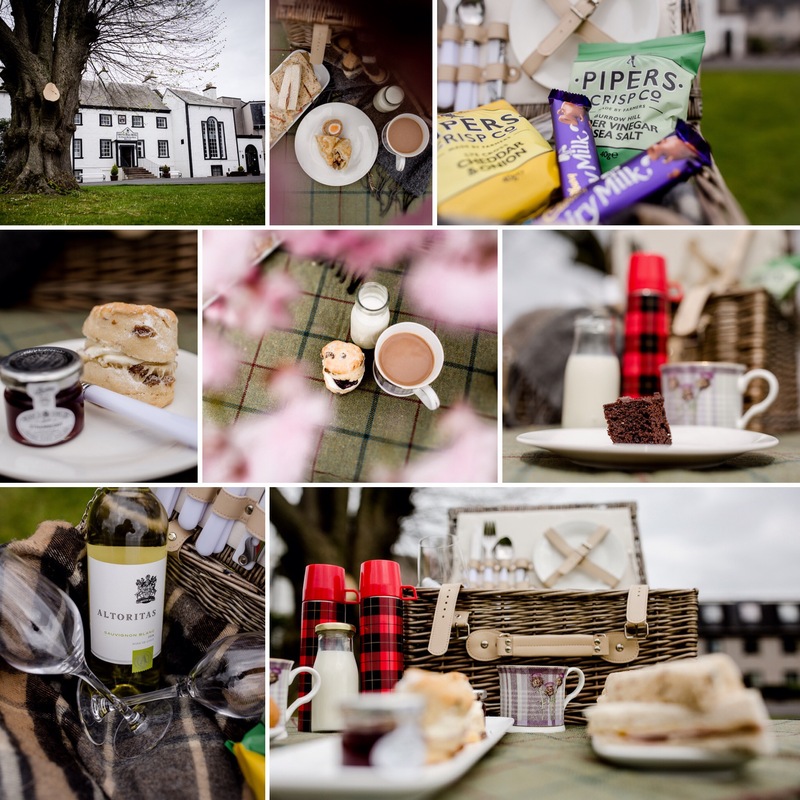 We're super excited that our sister hotel Gretna Hall has new picnic menu that's perfect for a day out in Gretna Green! Who doesn't love a chance to enjoy the great outdoors ... there's something about eating outside that makes everything taste just that much nicer ... ! Sit looking down over the green fields over the village out towards the Solway and even the Lake District on a super clear day! Set underneath the canopy of the majestic trees which line the drive, your picnic will be set up on the lawn for you with a picnic blanket and a wicker basket full of goodies for you to enjoy. Tempted? Of course you are! We can taste it already … these fabulous wee picnics are only $25.90 per person. Booking is essential (we need to know when you’re coming so we can have your picnic ready and waiting) – but it’s easy! Just give us a call on 01461 338257! Available daily from 12noon to 3pm - rain or shine! Although we’ve got fingers and toes crossed for a sunny summer, if Mother Nature doesn’t cooperate, we’ll whisk everything inside and your picnic will be waiting for you in our cosy lounge! Why not round up a friend or two ... or perhaps bring the family! Don’t forget to share your picnic adventures with Gretna Hall on Facebook, Twitter and Instagram!